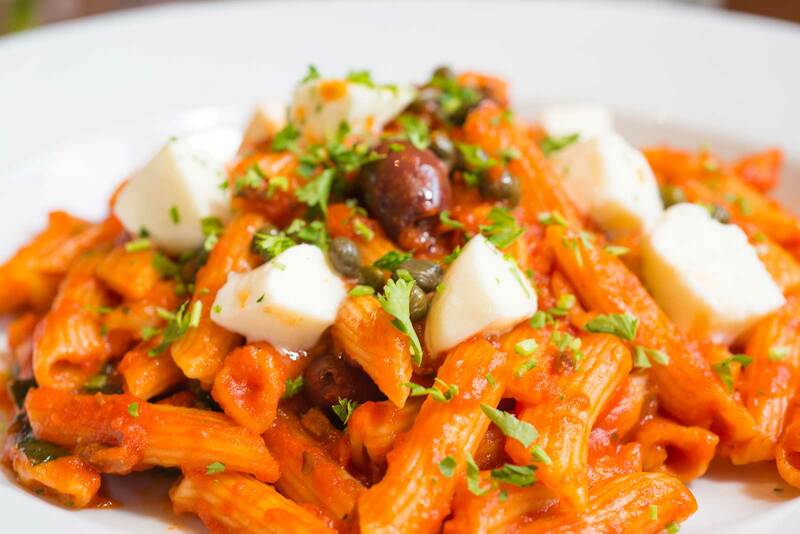 Who says you have to journey across the globe to experience authentic Italian food? Citizens and visitors of Santa Clarita, look no further; you are among some of the best restaurants, namely Spumoni Italian Restaurant. Learn more about this Southern California favorite that feels just like dining in Italy! Whether you are a local or just a visitor of the sunny city, Spumoni is the best restaurant in Santa Clarita to precede or follow your daily activities. Grab a quick pizza for lunch before a hike or biking excursion. End your day of shopping or golfing with a relaxing glass of wine in a dimly-lit setting. Satisfy the hunger you worked up from riding adrenaline-pumping rollercoasters all day at Six Flags Magic Mountain with your favorite pasta dish. No matter how you spend your time in Santa Clarita, Spumoni fits in perfectly at any time of day. Spumoni Restaurant is also the best solution to any conflict about what kind of occasion you are looking for in Santa Clarita. Planning a romantic date night with your significant other? Enter Spumoni, whose candlelit and flower-decorated tables are sure to create a ‘Lady and The Tramp’ moment between the two of you. If its a big family night, Spumoni is also eager to create the best family friendly environment for family members of any age. In addition to the dine-in options, Spumoni understands that sometimes you just need to cuddle up in your pajamas with your favorite Italian comfort food. For those occasions, Spumoni also delivers to your home; no need for the added effort of going out in public. Feeling like a casual pizza, a comforting pasta dish you know and love, or wanting to branch out a little bit? Spumoni’s diverse and large menu allows for all of the above. It covers the classic Italian salads, soups, pizzas, homemade pastas, and fish and meat dishes for those that want to stick to what they know. However, the more unique sections of Spumoni’s menu include an entire section of New York-style Italian dishes, as well as a Gnocchi Bar offering 10+ different variations of the pasta. Feel free to take a chance on something new or keep it classic. Spumoni Restaurant knows and respects the charming atmosphere that comes with authentic Italian dining, and the goal is to replicate it so that you don’t have to fly across the world to experience that. Pay Spumoni a visit for the same cozy character that you would find in a genuine Italian cafe. Bottles of wine adorn the walls against dark wood, while candles and flowers bring a romantic warmth to each table. At certain times, guests can delight in live music while they dine, delivering alluring favorites of Frank Sinatra, Dean Martin, and the like. If the indoors are not completely satisfactory, guests also have the option of dining on the outdoor patio, for a more open and lighter experience. Spumoni is takes its reputation as one of the best restaurants in Santa Clarita seriously, and is constantly striving to create the absolute best dining experience for its customers. Join them for a visit to see for yourself. Buon Appetito!